Piso Sale: AirAsia Philippines has just announce it's newest route schedule with an astonishing promo fare offering! They have added Manila to Guangzhou route with flight schedules four times a week (monday, wednesday, thursday and saturday). This is really a very perfect opportunity for businessmen and those jet setters like us. Visiting another city at a very affordable like Php 1 as a base fare is already something we can take advantage this summer season! Guangzhou has a lot to offer with its busy city and shopping destination as well! We can see that you can keep coming back and forth. And for those want to check the Philippines via Manila. It is a perfect base station to the natural wonders the archipelago can offer! 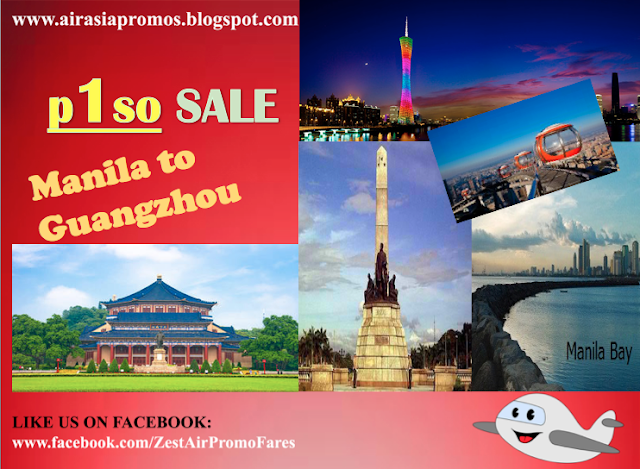 Php 1 sale promo is only exclusive for Manila to Guangzhou route and is not applicable to other flight destinations. So please put that in mind when booking your tickets! AirAsia Philippines' CEO Captain Dexter Comendador guarantees that business and leisure travelers will continue to enjoy low fares and best quality service AirAsia Philippines is known for. There you go, take advantage to visit a part of China at least once in your lifetime! 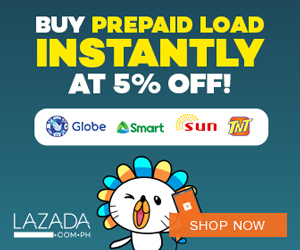 This Piso sale is for a limited offer only. Grab it and don't miss this chance!